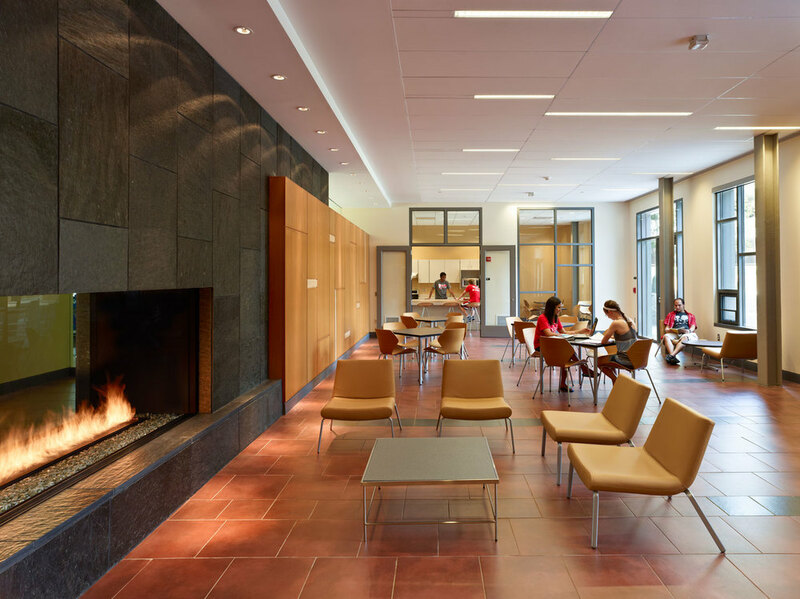 This high density student housing project is located at an urban infill site. The site is surrounded by a mixture of different scale university and private residences. 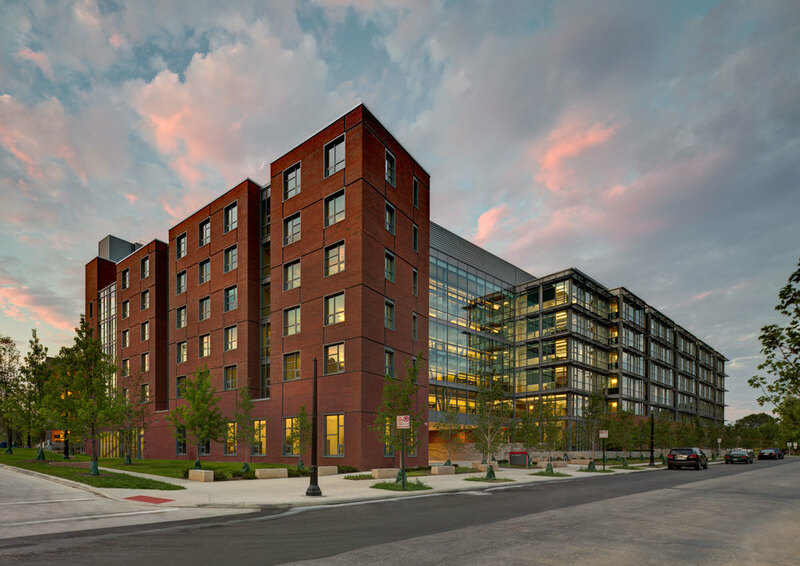 This 539 bed project uses a pallet of exterior materials consisting of detailed brick and street level natural stone, both that maintain the street’s context. 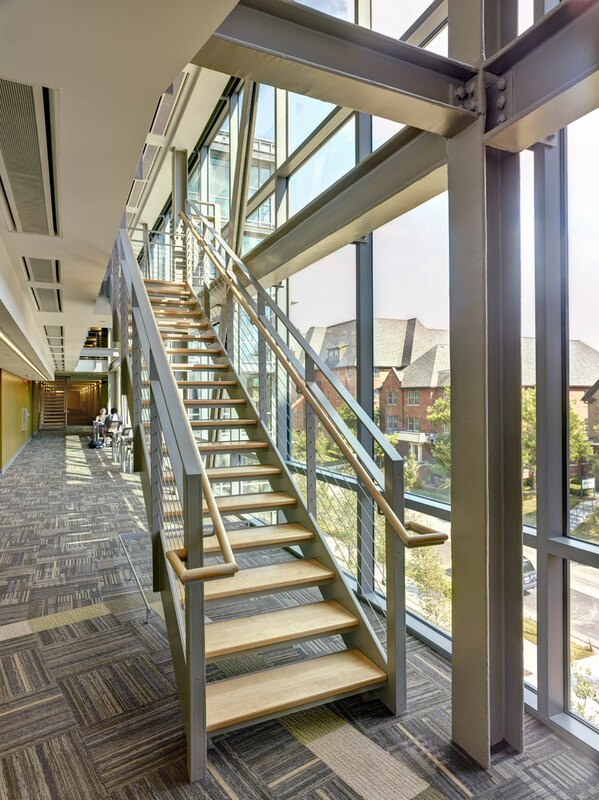 The high use of glass curtain wall provides transparency to this large scale building. 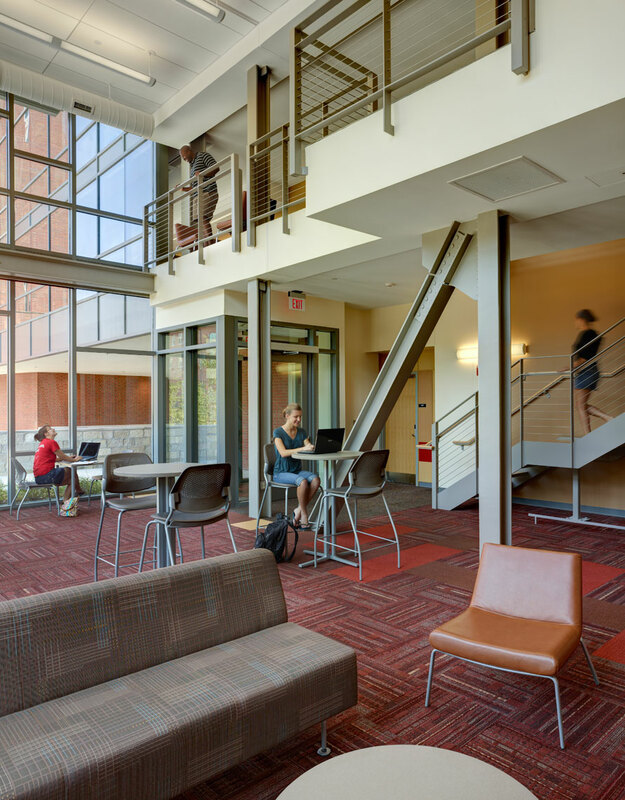 Within the building, living environment dictates design decisions. Community is a critical component of the Owner’s program. Ten foot wide paths between resident's rooms are furnished to encourage spontaneous interaction.